According to Herbert von Karajan is Agnes Baltsa 'the most famous dramatic Mezzosoprano of our age'. Agnes Baltsa was born on the greek island Lefkas. She studied at the Academy of Music in Athens and with a Maria Callas-Stipend in Munich. Her debut as 'Cherubino' in Frankfurt was soon followed by invitations from the most famous opera houses in Berlin, Vienna, Milan, London, Munich, New York and Chicago. Her extensive repertoire includes parts as Sesto, Idamantes, Orfeo, Octavian, Komponist, Rosina, Cenerentola, Isabella (L'Italiana in Algeri), Carmen, Eboli, Santuzza, Azucena, Dalila, Elisabetta (Maria Stuarda), Romeo (I Capuleti e i Montecchi), Fedora and Hérodiade (Massenet). Recently she expanded her repertoire with the parts of Fidès (Le Prophète), Kundry (Parsifal) and Kostelnicka (Jenufa). Agnes Baltsa recorded her complete repertoire with the conductors Herbert von Karajan - who had an forming influence on her career during their cooperation for more than 15 years - Böhm, Bernstein, Muti, Sinopoli, Ozawa, Maazel, Davis and Abbado. Since 1970 she performed regularly at the Salzburg-Festival with Herbert von Karajan as conductor. Later she sang 'Dorabella' with Riccardo Muti and 1993 with Bernhard Haitink 'Herzog Blaubart's Burg' by Bartok. 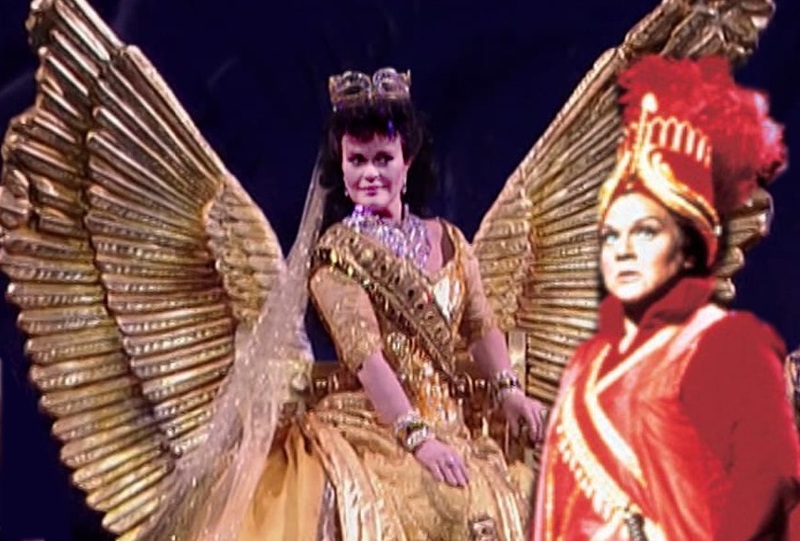 Horne in the morning and June at night Eleven days from now Semiramide returns to the Met (not without controversy) for the first time in 25 years.